Junior Dora Antal has left her mark on Cal’s history as she became the first three-time first team All-American in women’s water polo. The driver earned yet another ACWPC first-team title, marking three back-to-back honors. Antal led the Bears on offense and finished fourth on the MPSF scoring list (2.12 goals per game). She is now ranked fourth on Cal’s all-time scoring list with 197 goals in what has been a successful career. 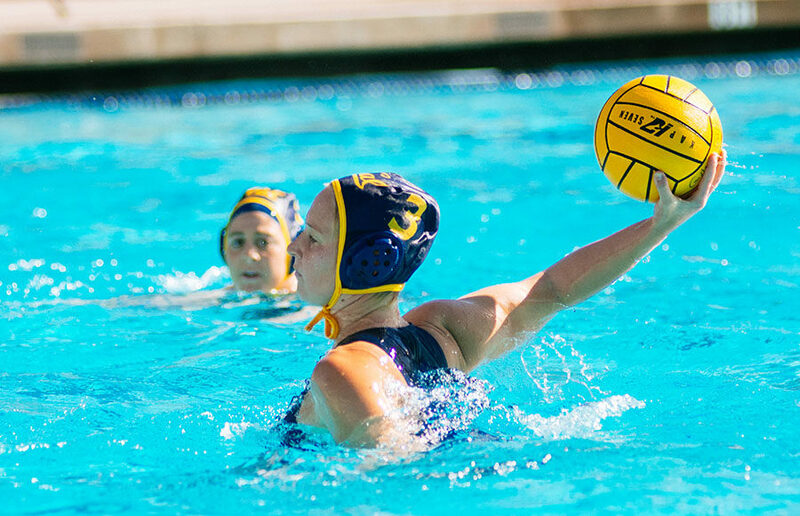 Antal was not just a dominating force to Cal women’s water polo, but also helped her home country of Hungary reach the bronze medal match in the 2016 Summer Olympics. From leading her team in Berkeley to helping her squad in Rio de Janeiro, Brazil, Antal has dominated all over the world. Cal volleyball: Cal volleyball has added a defensive specialist in Emma Smith from the University of Hawaii. As a freshman for Hawaii, Smith competed in 25 matches and 66 sets with four starts. Smith has three years of eligibility remaining and head coach Matt McShane hopes she can have an immediate impact on the Bears’ squad. Smith will be joining three other defensive specialists on the Bears’ roster in hopes of improving upon Cal’s 9-21 2016 season. Cal men’s swim: Cal men’s swim stars showed out at the 2017 Arena Pro Swim Series in Santa Clara. This event hosted elite swimmers including members of Team USA. Cal alumnus Ryan Murphy took first in the 100- and 200-meter backstroke, Josh Prenot took the 200 breaststroke and Nathan Adrian took the 100 freestyle. Long Gutierrez, competitor for Mexico at the Rio Olympics, took second in the 200 free. Cal’s Olympians displayed their signature skills, but were not the only Bears to find success at the meet. Rising sophomores Michael Jensen and Andy Song acquired a few top finishes; Jensen took third in the 100-meter free with a career-best time of 49.35 seconds and Song took fourth in the 200 back. The Arena Pro Series was the last preparation meet before the Phillips 66 National Championships. The championship meet will take place June 27 to July 1 in Indianapolis and the Bears will look to leave one last mark on the year.